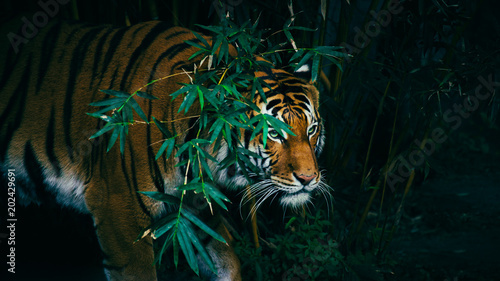 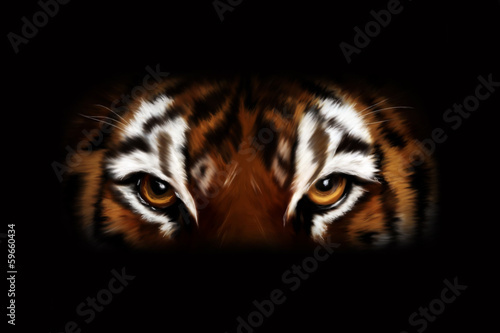 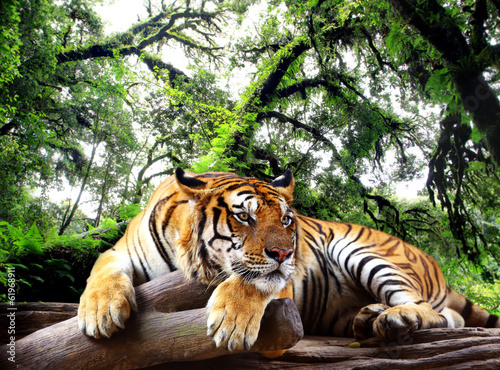 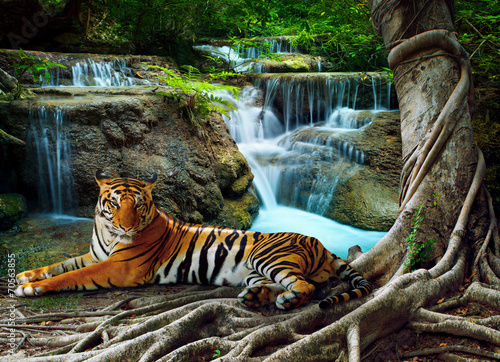 A tiger in Tall stalks of dense green bamboo in a jungle setting. 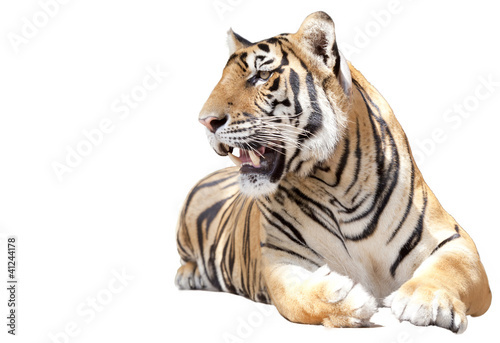 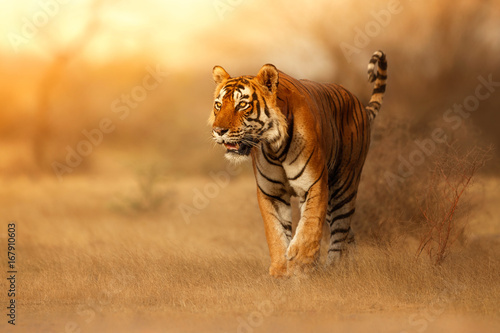 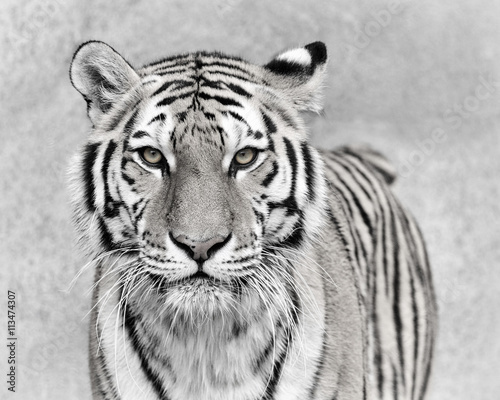 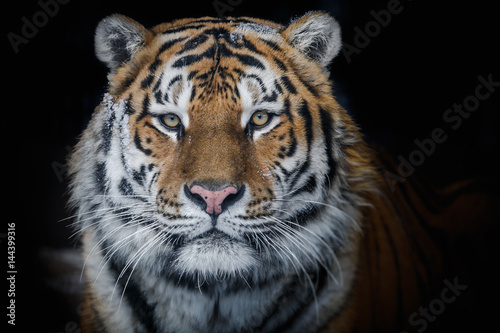 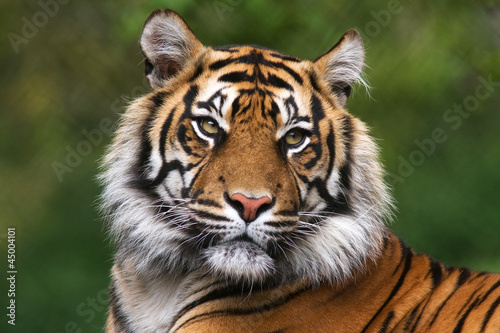 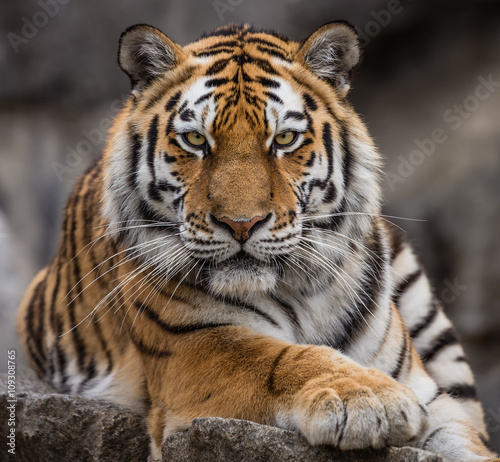 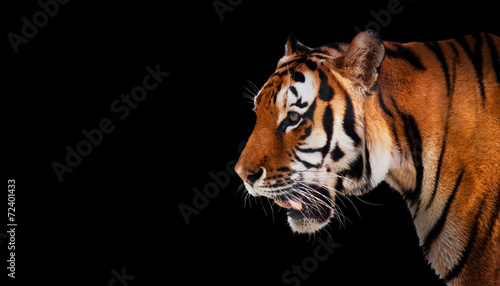 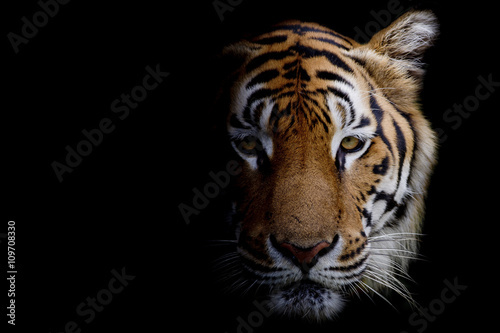 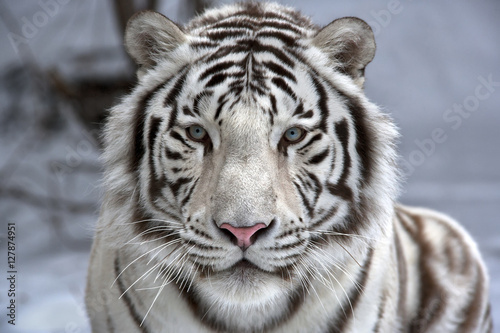 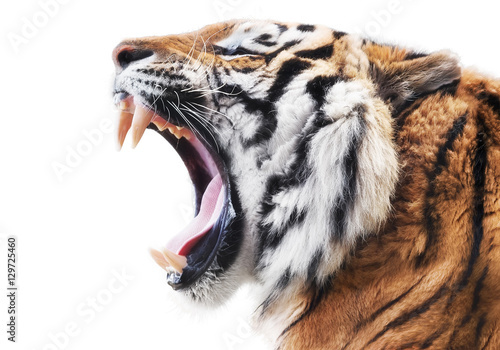 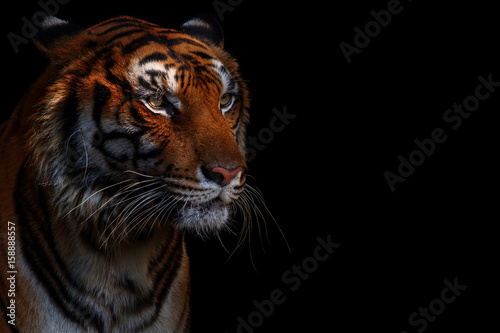 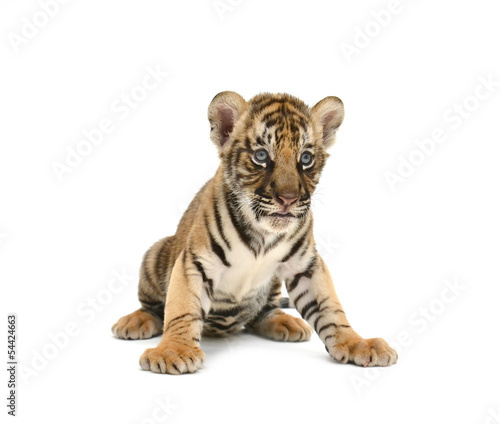 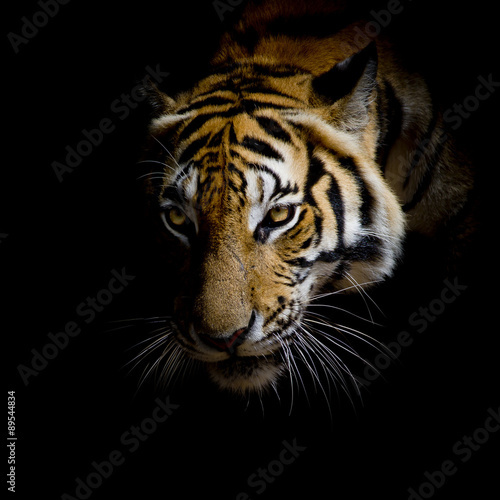 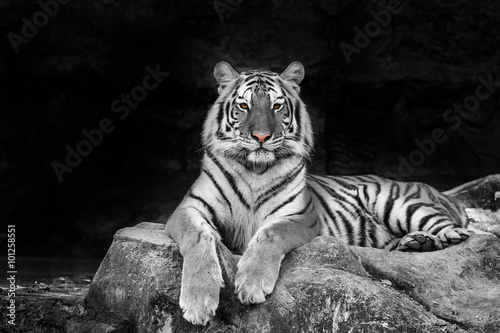 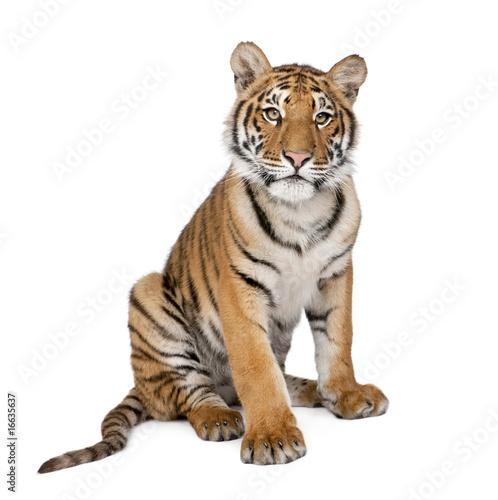 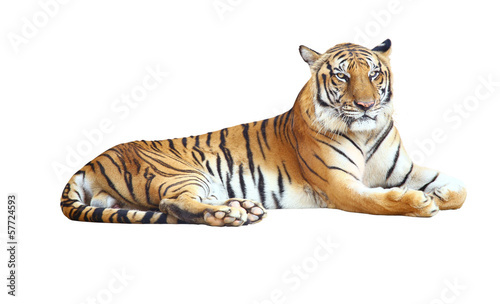 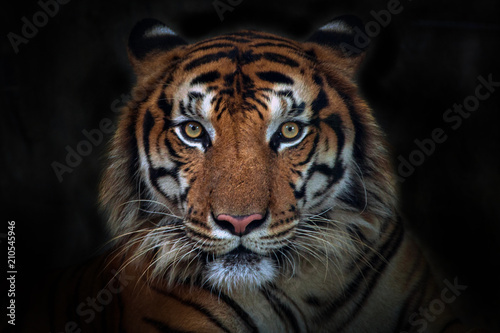 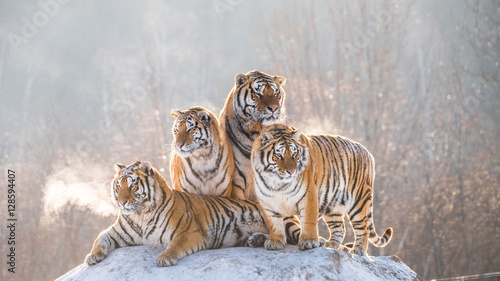 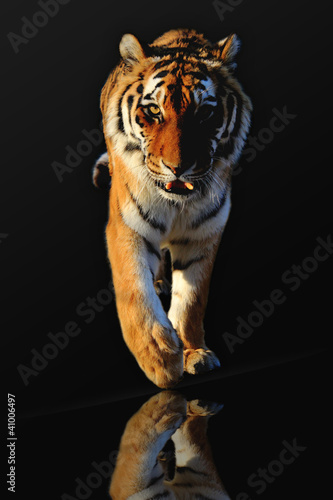 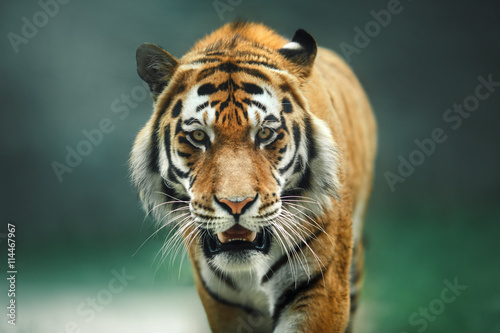 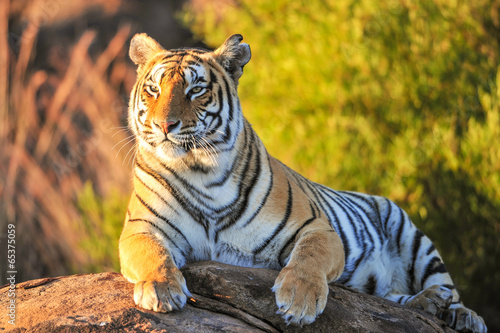 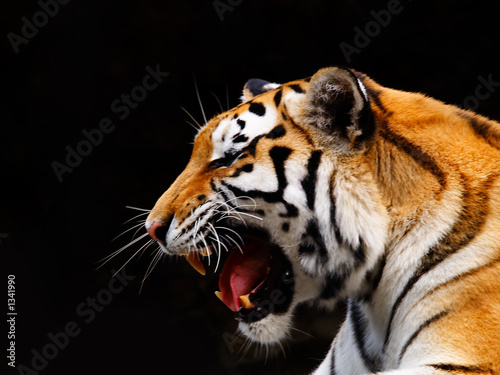 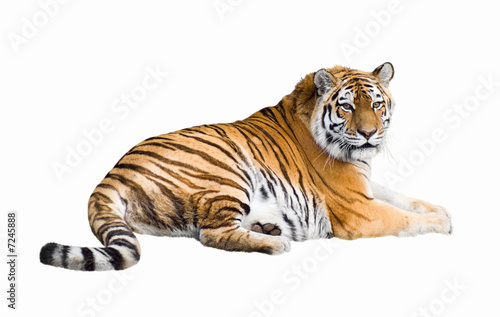 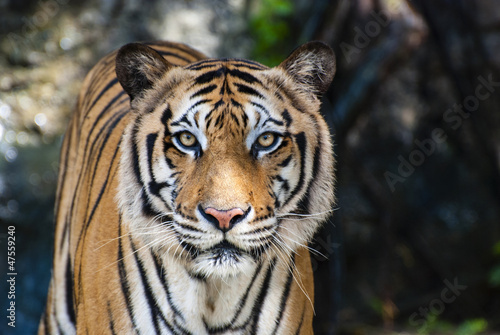 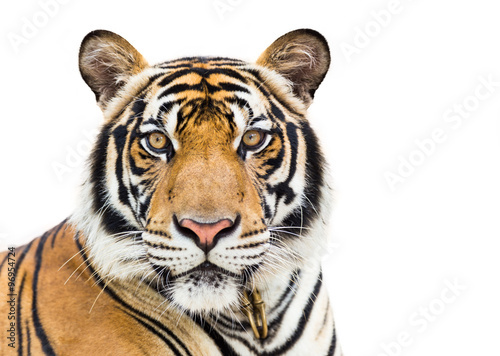 Portrait of a Bengal tiger (Panthera tigris bengalensis). 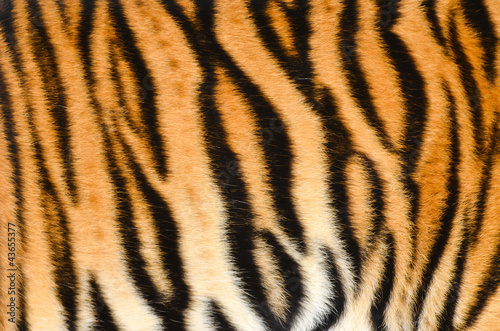 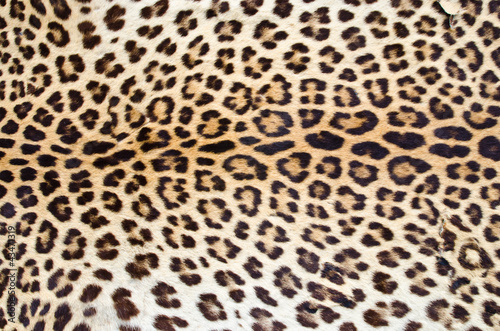 Close-up detail portrait of tiger. 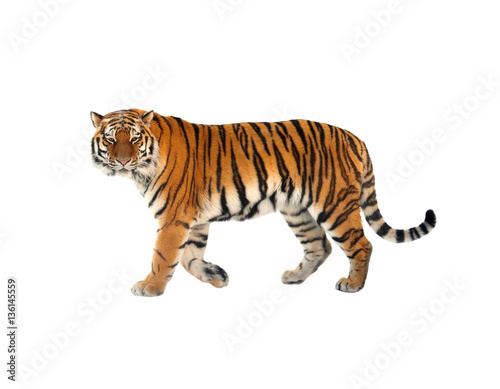 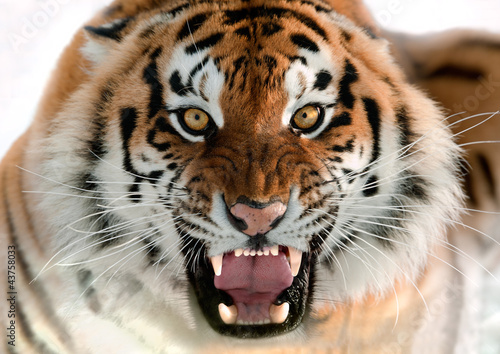 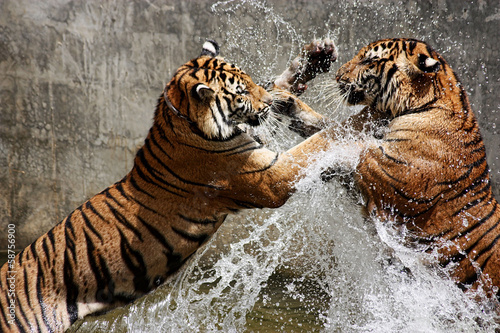 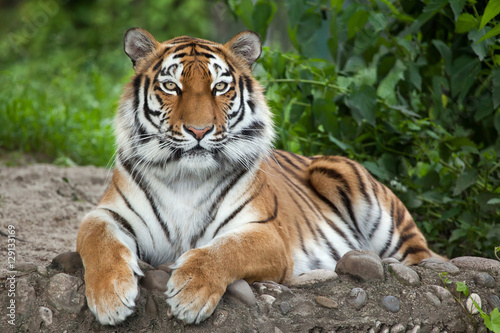 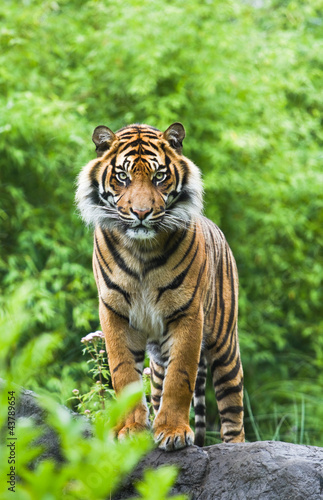 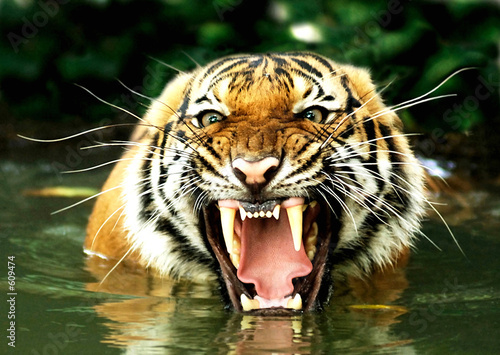 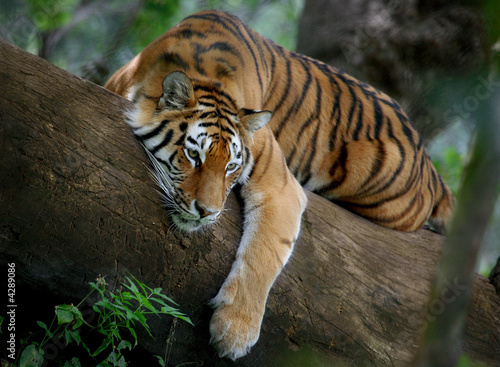 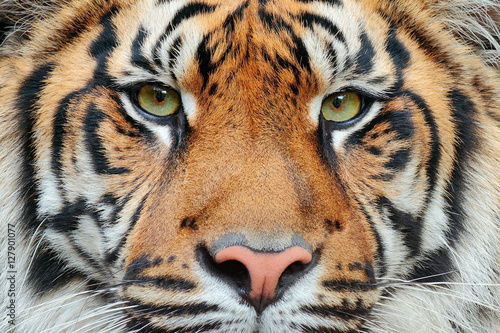 Sumatran tiger, Panthera tigris sumatrae, rare tiger subspecies that inhabits the Indonesian island of Sumatra. 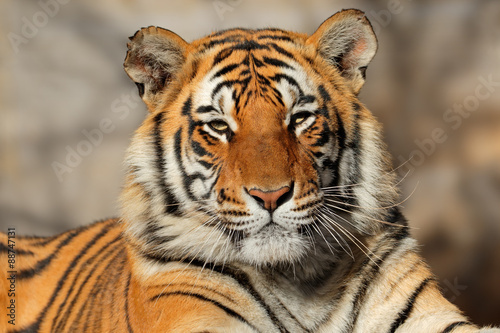 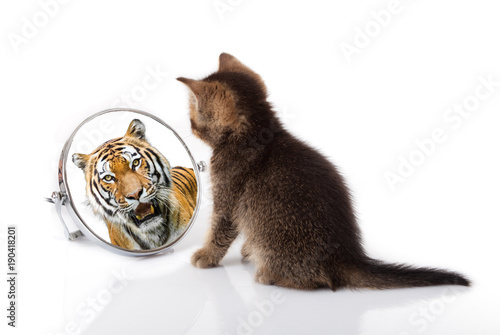 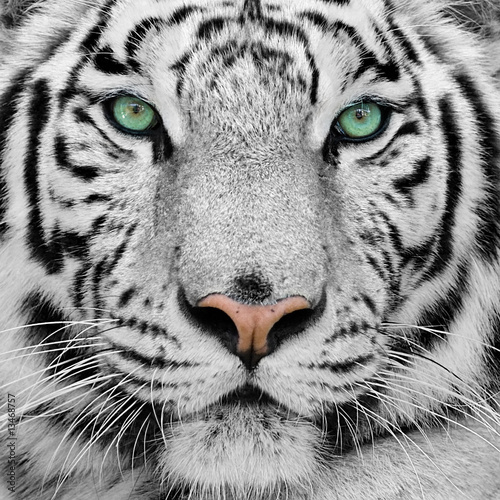 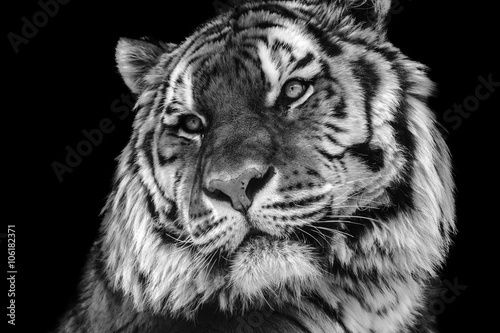 Beautiful face portrait of tiger. 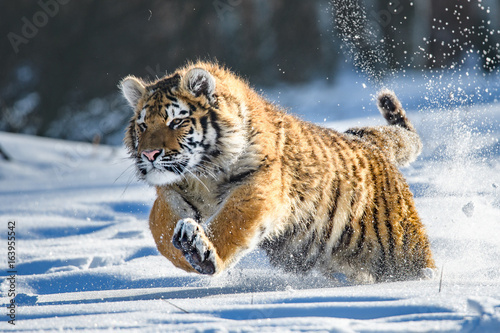 Striped fur coat.